Another reissue of a kit from when I was 10, Monogram's 1966 Malibu, with the flip front end. 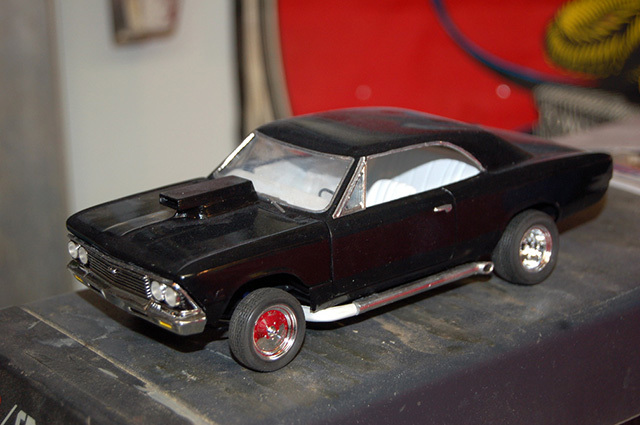 Painted with Tamiya Gloss Black Acrylic. 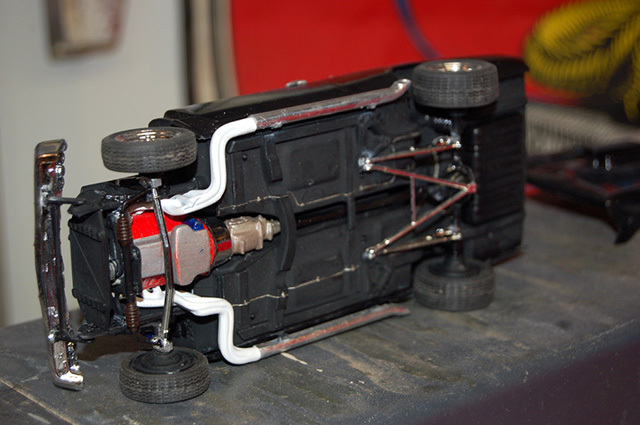 Car was built box stock, except for the addition of plug wires / boots.